2015 Volkswagen Passat with features such as power locks, xenon headlights, premium sound system. It has grey interior and is White. GCC spec. Automatic 2016 Volkswagen Passat with 17 inch wheels, air conditioning, power windows, beige interior, gold exterior. GCC spec. GCC spec 2016 Volkswagen Passat, gold sedan with beige interior. It features airbags (front and side), 17 inch wheels and tuner/radio. White sedan with beige inside. It has USB and air conditioning and has 17 inch wheels. Imported spec vehicle with 5 cylinder engine, black interior and automatic transmission. GCC spec vehicle with 5 cylinder engine, beige interior and automatic transmission. Automatic Volkswagen Passat with 16 inch wheels, front wheel drive, analog clock, beige interior, white exterior. GCC spec 2016 Volkswagen with Power locks, 16″ wheels and ABS. Price reduced! Sam - When I was looking around for a used Volkswagen Passat for sale in Dubai, UAE, I found some great deals. I went to buy a pre owned Passat SE at a fixed price in UAE. Best decision I made last year, great specs, looks amazing and is great when it comes to fuel consumption. Pros: Interior options and feel, engine and price tag. Khalid - I bought my import used Passat 4Motion as I heard they are rare in Dubai. Not only are they rare, when I tell my friends that it’s a W8 they look at me in shock. Greatest sleeper car ever. The steering feels loose at times, but the engine makes up for that. Pros: Engine power of the W8. Cons: Steering feels off at times. Bilal - My wife first bought a second hand Passat, and after driving around for a few days I had to buy one. Extremely comfortable cars, rear legroom is excellent for tall people, rear boot space is enough to pack a few weeks of shopping, and the engine is efficient, except when you have a V6 version. Pros: Boot space, legroom and options. Cons: The four-cylinder version is fuel efficient, the rest aren’t and hard to sell in export markets. Rear seats are surprisingly spacious allowing tall passengers to sit comfortably in the back. Four cylinder cars are always great when it comes to cutting costs when it comes to fuel, and the Passat is an excellent example of this. The Passat is highly regarded when it comes to safety. It’s not just the back seats that are incredibly spacious; the boot is just as satisfying. The interior may come across as simple; it’s actually quite elegant as its exterior when you think about it. Debuting in 1973, the Passat was Volkswagens ticket into the mid-sized sedan market to rival, fellow European and Japanese cars. 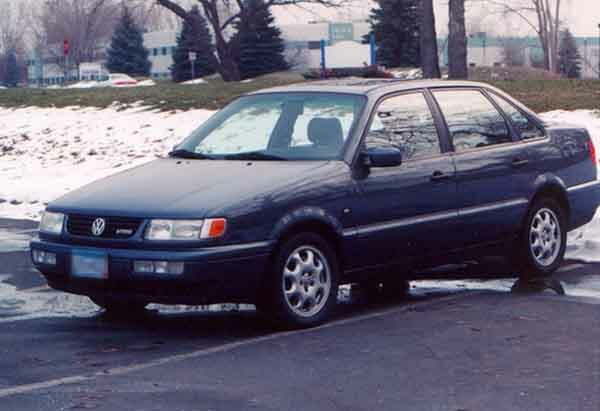 Over the years, Volkswagen kept improving the midsize sedan creating quite the luxurious ride. Over the years, it's won numerous awards including 2012 Car of the Year. If there's anyone doubting that these cars can cause quite a stir, an eight cylinder wagon model mated to a manual gearbox is exceptionally rare with an estimated run of just 100 units. Road Rivals: Toyota Camry, Honda Accord, Nissan Altima and the Hyundai Sonata. In its fourth generation, the Volkswagen Passat rocked out with a time ready exterior shell and interior options to match. The Passat of these years come in two shapes, sedan or station wagon. Base models are equipped with fabric seats, manual seats, manual accessories, tuner radio and 15-inch rims on each corner. Extras include a CD player, leather seats, cruise control power seats, sunroof, powered accessories and larger rims. As for safety features, Passat models can be had with ABS and airbags. 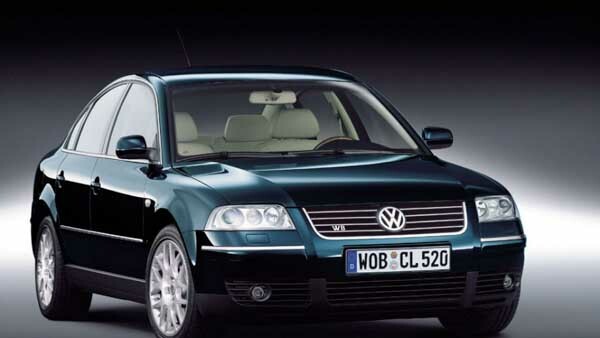 In 2001, Passat cars have a slightly different look including the exterior and interior. New options are also part of the complete package. Power comes from a selection of engines ranging from a four-cylinder to W8 and everything in between. Front wheels are controlled by a manual or automatic gearbox as standard with all but the eight-cylinder version. Those models are 4Motion or all-wheel drive. Both petrol and diesel models are available. Looking to buy a second hand Volkswagen Passat for sale in Dubai, UAE? Prices start AED 3,000. 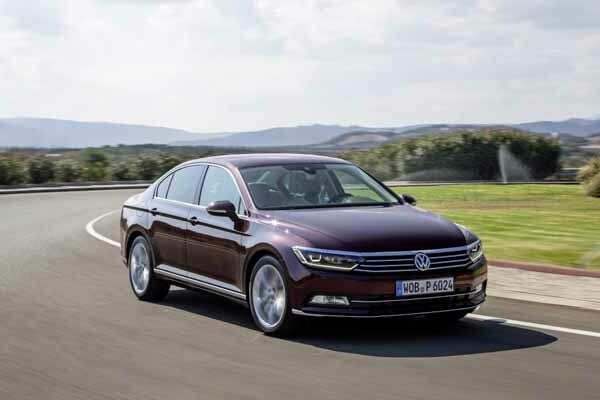 Returning for another few years, the Passat's exterior is reworked once again to create a time friendly appearance along with a spruced up interior with an array of new options. Both sedan and station wagon models are available, CC versions of the Passat also launched during this time. With a larger stature compared to the previous models, standard features remained the same with ABS and airbags now available as standard in the first few years. In later years, Bluetooth, media inputs, dual sunroof, navigation, larger media screen, analog clock, digital A/C, xenon headlights, LED’s memory seats, larger rims, high quality leather, electronic suspension program, tyre pressure warning system, parking sensors and reverse camera are all part of the options list. 2007 saw the introduction of the R36 or R-Line model. Equipped with an uprated V6 motor, a unique rear spoiler, reworked front end, all wheel drive, paddle shifters behind the steering wheel, 18-inch alloys, sports seats, dual exhaust tips and adaptive xenon headlights along with exclusive badging. 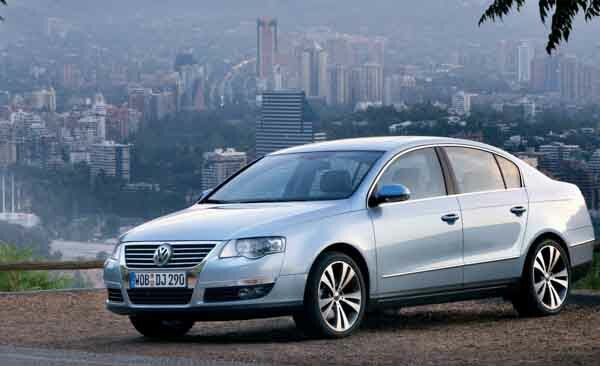 2010, saw the Passat receive a facelift that added a new front grille and rear lights. A lifted version of the station wagon launched dubbed Alltrack with identical looks and options as facelifted models. Power comes from a selection of four, five and V6 motors with the eight-cylinder model being discontinued. Front-wheel drive is standard with four-wheel-drive being optionally available mated to either a manual or automatic gearbox. Want to buy a pre owned Volkswagen Passat in Dubai, UAE? Prices start at AED 18,000. Midway through 2015, the Passat launched with an all-new look. With a far sleeker look not only is the interior updated, but the interior also benefits from the latest tweaks. Sedan and wagon models return for another few years. S trim levels have ABS, ESP, Bluetooth, cruise control, folding rear seats for increased cargo space, cloth seats and a CD player. SE trims have all that plus a leather-wrapped steering wheel, air con vents in the rear and 16-inch alloys on each corner. SEL have all the previously mentioned options with the exception of the rims as these trims have 17-inch alloys plus leather-trimmed seats, media inputs, FENDER sound system, power seats, keyless entry and start, sunroof and digital a/c. Sport trims have identical specs but with 18-inch alloys, internal hard drive, touchscreen navigation, memory seats, DVD reader and SD card slot. R-Line models also return with exclusive badging, trim pieces larger alloy’s, side skirts, rear diffuser and front bumper. V6 models are discontinued with four and five cylinder variants on offer with various displacements. Both manual and automatic gearboxes are available powering the front or all four wheel wheels. Looking to buy used Volkswagen Passat in Dubai, UAE. Prices start at AED 89,500.